The Sword of Truth Audiobook is a series of seventeen epic fantasy novels written by Terry Goodkind. The Audiobook follow the protagonists Richard Cypher, Kahlan Amnell and Zeddicus Zu’l Zorander on their quest to defeat oppressors who seek to control the world and those who wish to unleash evil upon the world of the living. While each novel was written to stand alone, except for the final three that were intended to be a trilogy, they follow a common timeline and are linked by ongoing events that occur throughout the series. 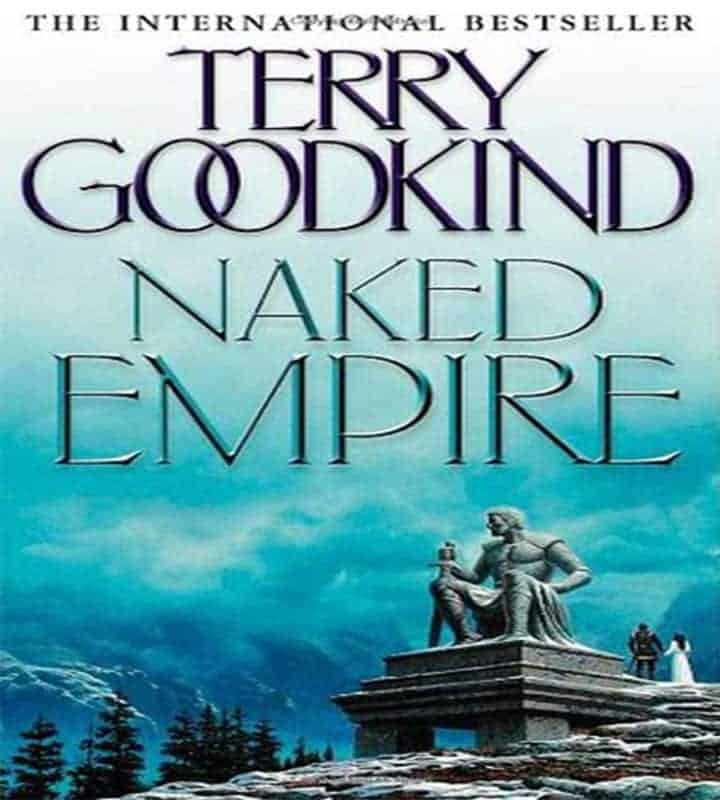 The Sword of Truth Audiobook Series by Terry Goodkind began in 1994 with Wizard’s First Rule Audiobook and Goodkind has since written fifteen more novels in addition to a novella titled Debt of Bones. The latest novel in the The Sword of Truth Audiobook series, Warheart, was released in 2015. As of 2008, 25 million copies of the series’ books have been sold worldwide, and the series has been translated into more than 20 languages. A television series adaptation of The Sword of Truth Audiobook, titled Legend of the Seeker, produced by ABC Studios and broadcast via syndication, first aired on November 1, 2008. Keith Parkinson served as the cover artist for all the audiobooks of the first edition, apart from Wizard’s First Rule and Blood of the Fold. New hardback and paperback editions of those two books were later published with new cover illustrations by Parkinson. Parkinson died on October 26, 2005, but not before completing the cover art for two more novels in the series. The Sword of Truth Audiobook Series by Terry Goodkind is set in a world divided into two major regions: the New World and the Old World. The New World consists of three lands with Westland in the west, D’Hara in the east and the Midlands in the center of the two. D’Hara is ruled by a magically gifted member of the Rahl family, while the welfare of the Midlands is decided by a council of representatives led by the Mother Confessor, who is also the leader of the Confessors. The Confessors are a group of women who each have a magical power to force a person to become entirely devoted to them, allowing them to fulfill their purpose – to find the truth. Westland, a land of no magic, is also ruled by a council of representatives. The Old World is not introduced until the second book in the series and its geographical features are described in less detail. The main character is a young man named Richard Cypher, a Westland woods guide whose simple life is forever changed after he becomes the Seeker of Truth – a position similar to that of a Confessor, requiring him to uphold justice in the world. Over the course of the series, Richard learns about his heritage while seeking to stop the evil that others would unleash upon the world of the living. Because Richard refuses to sacrifice his values and lives his life as a free man, others begin to understand the nobility of man and what it means to be free. Each book is loosely themed around a Wizard’s Rule, tenets by which all wizards should abide. The eleventh full-length novel, Confessor, concludes the series’ central story arc regarding the invasion of the Imperial Order, an empire in the Old World led by Jagang. Warheart was the last novel in the series. In a dark age when it takes courage to live, and more than mere courage to challenge those who hold dominion, Richard and Kahlan must take up that challenge or become the next victims. Beyond awaits a bewitching land where even the beat of their hearts could betray them. Yet, Richard fears nothing so much as what secrets his sword might reveal about his own soul. Falling in love would destroy them – for reasons Richard can’t imagine and Kahlan dare not tell him. In their darkest hour, hunted relentlessly, tormented by treachery and loss, Kahlan cals upon Richard to reach beyond his sword – to invoke within himself something more noble. Neither knows that the rules of battle have just changed…or that their time has run out. Kahlan has at last gained the one goal she had always thought was beyond her grasp…love. Against all odds, the ancient bonds of secret oaths, and the dark talents of men long dead, Richard had won her heart. In a world as rich and real as our own, Richard Rahl and Kahlan Amnell stand against the ancient forces which besiege the New World – forces so terrible that when they last threatened, they could only be withstood by sealing off the Old World from whence they came. Now the barrier has been breached, and the New World is again beset by their evil power. 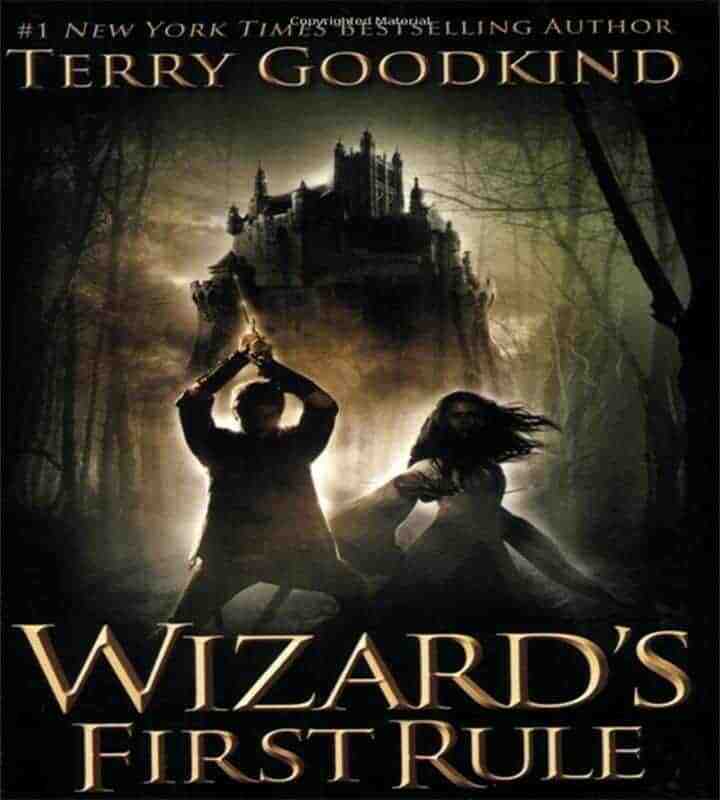 Terry Goodkind, author of the brilliant fantasy bestsellers Wizard’s First Rule and Stone of Tears, has created his most masterful epic yet, a sumptuous feast of magic and excitement replete with the wonders of his unique fantasy vision. Return to the world of Richard Cypher, whose adventures have stirred the blood and filled the hearts of legions of satisfied readers. When Richard was a simple woods guide, he never dreamed he would get caught up in magic, war, and dangers so extraordinary that the fate of his entire world would hang on his actions and decisions. Over the course of his journeys Richard learned to accept his true role, first as the Seeker and the wielder of the Sword of Truth, and then, in Stone of Tears, as the new Lord Rahl and the war wizard who led the fight against the Keeper and his dark minions. Everything Richard has learned thus far, all the wisdom, the magic, and the conviction he holds, will be for naught as the power-mad Emperor Jagang returns with his multitude of demonic underlings. For Richard must now challenge the impossible: the magic that thwarts magic, the three-thousand-years-sealed-away fortress of evil that has begun to infect the world with a terrible, sorcerous plague. He must find the Temple of the Winds. But once the shadow of betrayal falls across that mission, Richard must accept the Truth and find a way to undo the damage…or his world will perish. Return to the world of Wizard’s First Rule, which “has everything one could ask for in an epic fantasy” (Publishers Weekly), the world of Richard Cypher, a simple woods guide who never dreamed he would get caught up in magic, war, and dangers so extraordinary that the fate of the entire world would hang on his actions and decisions. In Wizard’s First Rule Richard and Kahlan Amnell, the Mother Confessor of the Midlands and the woman he would come to love, were the last hope against the forces of Darken Rahl, who had vowed to enslave the land on behalf of the Keeper, the evil lord of the Underworld. Richard slowly learned to accept his true role, first as Seeker and wielder of the Sword of Truth and then, in Stone of Tears, as the new Lord Rahl and war wizard who led the fight against the Keeper and his Dark minions. Richard managed to seal the Keeper in the Underworld and, in Blood of the Fold, defended the midlands from genocidal armies of the Blood of the Fold. In Temple of the Winds Richard was faced with an evil even he couldn’t stand against – a dread plague loosed by the mad Emperor Jagang. 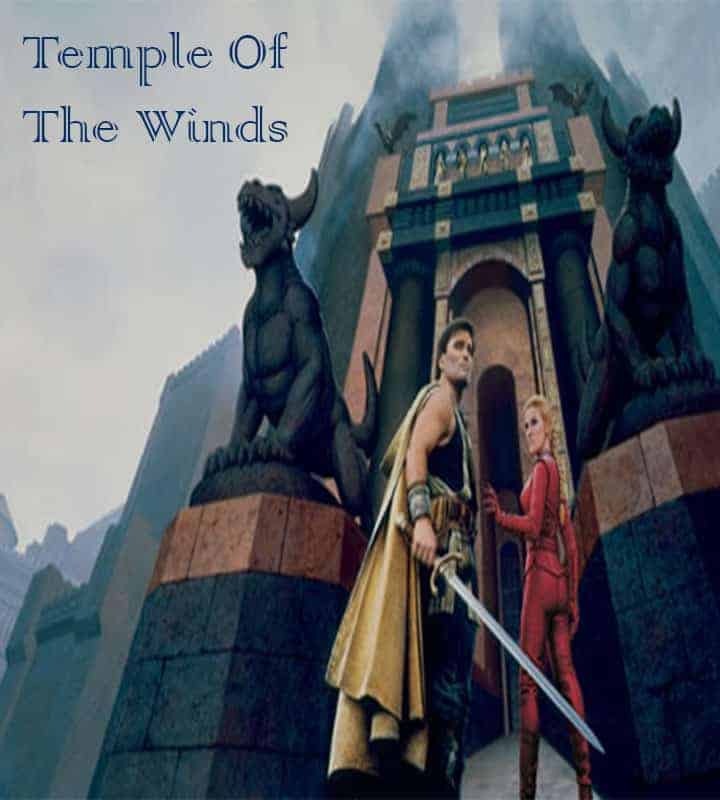 Only by journeying to the Temple of the Winds was Richard able to thwart the plans of Jagang and save his world and the life of his Beloved Kahlan. But when Kahlan summoned the dominion of the chimes to save Richard, unwittingly she loosed arcane powers that now not only threaten those she loves, but are bent on reshaping the world itself into forbidding visions that will forever alter the very nature of life itself. Richard and Kahlan must now hunt the chimes, those most mysterious of hunters – the unseen stalkers of souls, the thieves of order – and in so doing plunge headfirst into danger perilous. For there is no place so dangerous as a world without magic. 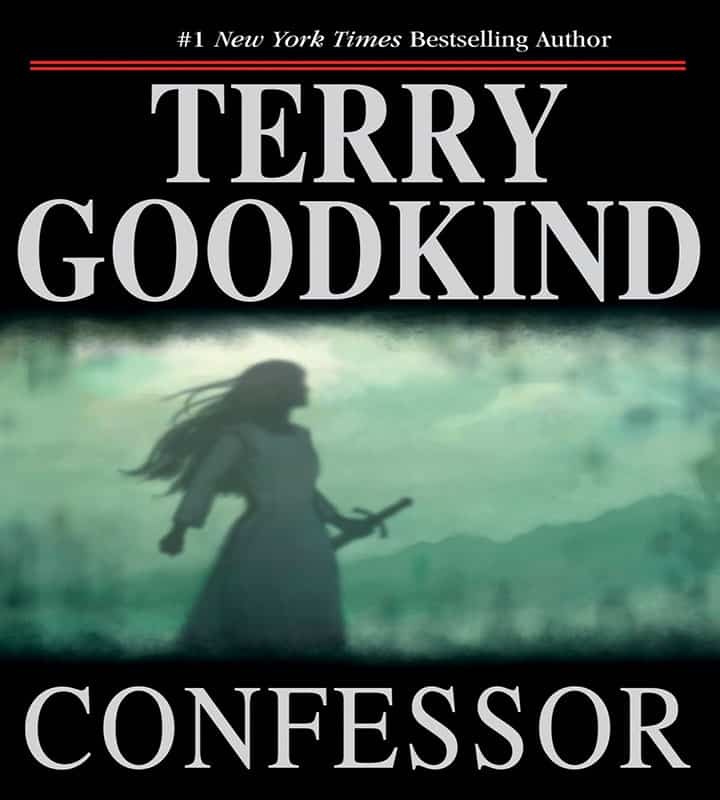 Bestselling New York Times author Terry Goodkind revisits his gripping Sword of Truth books with the eagerly anticipated Faith of the Fallen. In the sixth installment of this beloved series, Richard Rahl and Kahlan Amnell struggle against threats to the freedom of the world, testing both their endurance and their love for one another. As his beloved Kahlan lies close to death, Richard – who distrusts prophecy more than anyone — is confronted by a compelling vision that bears a terrible price: taking Kahlan away from the protection of the army he leads, and abandoning his people to a grim fate. Kahlan, left behind and unwilling to abandon the cause of the Midlands, violates prophecy and breaks her last pledge to Richard. Finally, she will come face to face with the architect of the terror sweeping her land: the mad dreamwalker, Emperor Jagang, who is poised to unleash his formidable fury on the New World. Meanwhile, in Emperor Jagang’s sprawling encampment, Nicci, a Sister of the Dark, is tormented by her memory of Richard yet is captivated by the inexplicable strength that she saw in this gaze. Despite her hunger to understand the source of his indomitable will, her burning passion to destroy him commits her to the unthinkable and draws her into a haunting, epic conflict. 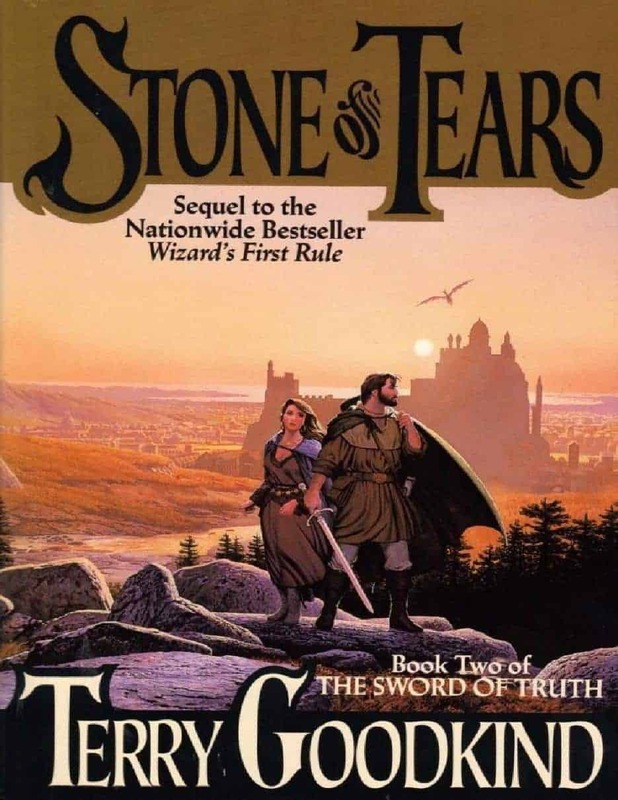 This latest compelling installment in the Sword of Truth series showcases Richard and Kahlan’s further struggles against the relentless, monolithic forces of the Imperial Order, resulting in Goodkind’s most captivating novel yet. ”You knew they were there, didn’t you?” Kahlan asked in a hushed tone as she leaned closer.” ”Against the darkening sky, she could just make out the shapes of three black-tipped races taking to wing, beginning their nightly hunt. That was why he’d stopped. That was what he’d been watching as the rest of them waited in uneasy silence.” ””Yes,” Richard said. He gestured over his shoulder without turning to look. ”There are two more, back there.”” ”Kahlan briefly scanned the dark jumble of rock, but she didn’t see any others.” ”Lightly grasping the silver pommel with two fingers, Richard lifted his sword a few inches, checking that it was clear in its scabbard. A last fleeting glimmer of amber light played across his golden cape as he let the sword drop back in place. In the gathering gloom of dusk, his familiar tall, powerful contour seemed as if it were no more than an apparition made of shadows.” ”Just then, two more of the huge birds shot by right overhead. One, wings stretched wide, let out a piercing scream as it banked into a tight gliding turn, circling once more in assessment of the five people below before stroking its powerful wings to catch its departing comrades in their swift journey west.” This night they would find ample food. ”How much of this blood is his?” ”Most of it, I’m afraid,” a second woman said as they both rushed along beside him. As Richard fought to focus his mind on his need to remain conscious, the breathless voices sounded to him as if they were coming from some great dim distance. He wasn’t sure who they were. He knew that he knew them, but right then it just didn’t seem to matter. The crushing pain in the left side of his chest and his need for air had him at the ragged edge of panic. It was all he could do to try to pull each crucial breath. Even so, he had a bigger worry. Richard struggled to put voice to his burning concern, but he couldn’t form the words, couldn’t get out any more than a gasping moan. He clutched the arm of the woman beside him, desperate to get them to stop, to get them to listen. She misunderstood and instead urged the men carrying him to hurry, even though they already panted with the effort of bearing him over the rocky ground in the deep shade among the towering pines. They tried to be as gentle as possible, but they never dared to slow. Not far off, a rooster crowed into the still air, as if this was an ordinary morning like any other. Richard observed the storm of activity swirling around him with an odd sense of detachment. Only the pain seemed real. He remembered hearing it once said that when you died, no matter how many people were with you, you died alone. That’s how he felt now-alone. 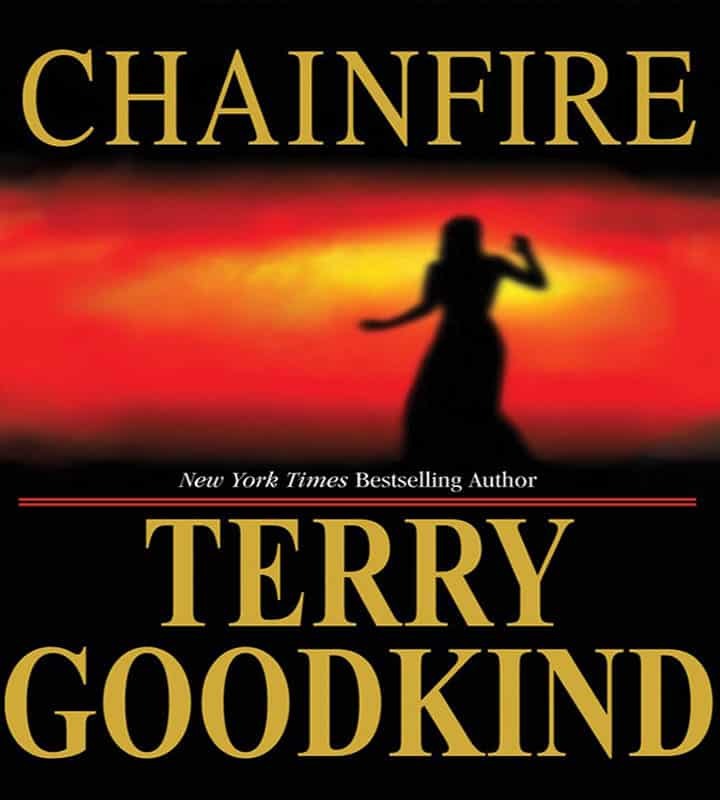 In the eagerly awaited second volume of bestseller Goodkind’s Chainfire trilogy, star-crossed Richard Cypher (aka Lord Richard Rahl) searches for his beautiful ”phantom” wife, Kahlan Amnell, who lost her memory in 2005’s Chainfire after the Sisters of the Dark cast a spell on her. Meanwhile, Richard has memorized a magical instruction book, The Book of Counted Shadows, which will help open the three boxes of the Orden, though the consequences could be dire for the Old World: ”Open the correct box, and one gains the power of Orden-the essence of life itself, power over all things living and dead… Open the wrong box… and every living thing in existence is incinerated into nothingness. It would be the end of all life.” Despite the simplistic good vs. evil conflict and bland prose, the author expertly juggles many complex plot lines and brings to life a host of colorful characters. Descending into darkness, about to be overwhelmed by evil, those people still free are powerless to stop the coming dawn of a savage new world, while Richard faces the guilt of knowing that he must let it happen. Alone, he must bear the weight of a sin he dare not confess to the one person he loves?and has lost. Join Richard and Kahlan in the concluding novel of one of the most remarkable and memorable journeys ever written. It started with one rule, and will end with the rule of all rules, the rule unwritten, the rule unspoken since the dawn of history. When next the sun rises, the world will be forever changed. 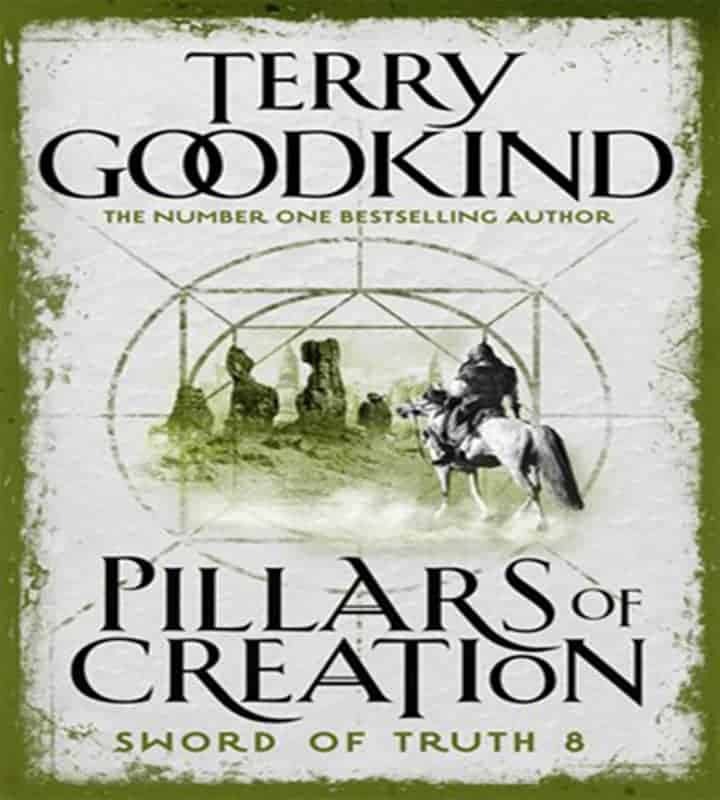 A thread woven through The Sword of Truth Audiobook Series by Terry Goodkind are the 11 “Wizard’s Rules”, which are practical teachings given to young wizards. 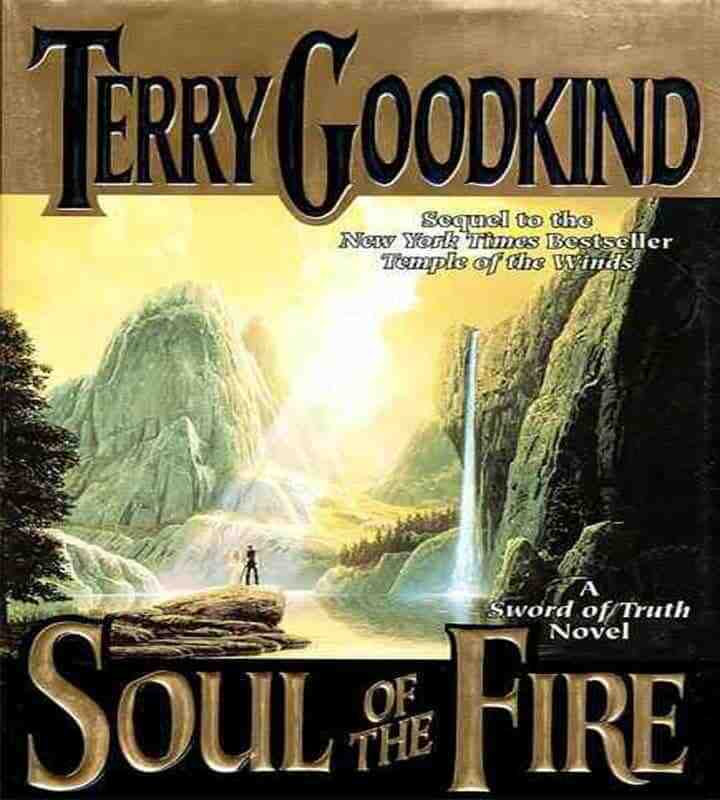 The Sword of Truth Audiobook Series by Terry Goodkind series frequently enters lists of top fantasy novels. Wizard’s First Rule Audiobook and the subsequent series was in the top 30 list by Paste magazine. 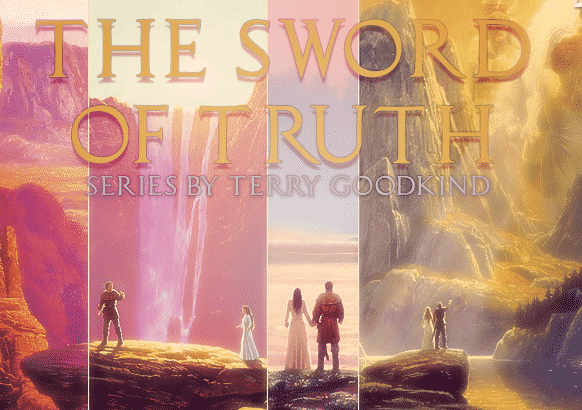 In 2011, a NPR poll of 60,000 readers from among 5,000 fantasy novels nominated, found the The Sword of Truth Audiobook Series by Terry Goodkind as the 62nd most popular fantasy/science fiction novel of all time. 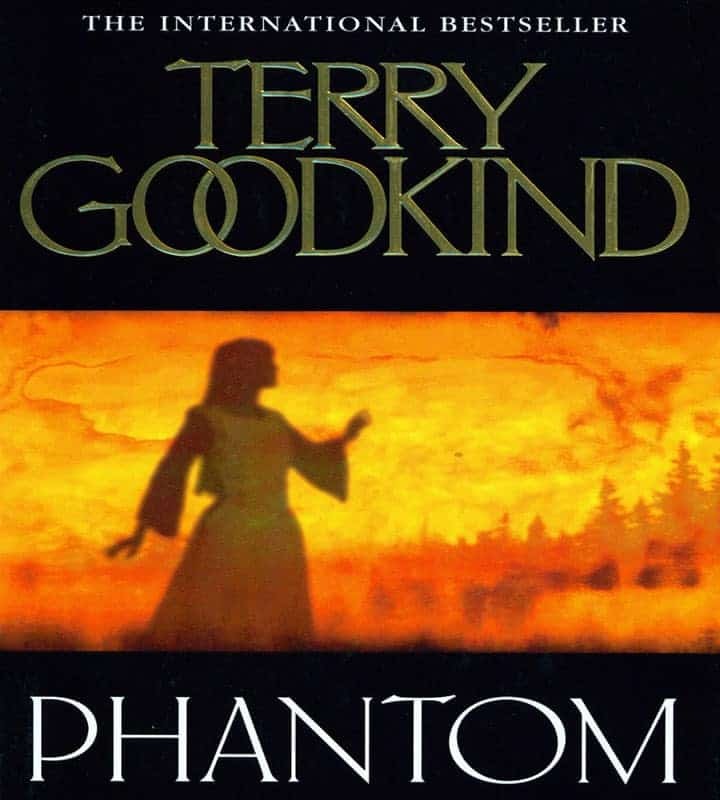 Terry Goodkind (born in 1948) is an American writer. He is known for the epic fantasy series The Sword of Truth Audiobook as well as the contemporary suspense novel The Law of Nines Audiobook (2009), which has ties to his fantasy series. The Sword of Truth Audiobook series sold 25 million copies worldwide and was translated into more than 20 languages. Additionally, it was adapted into a television series called Legend of the Seeker, which premiered on November 1, 2008 and ran for two seasons, ending in May 2010. 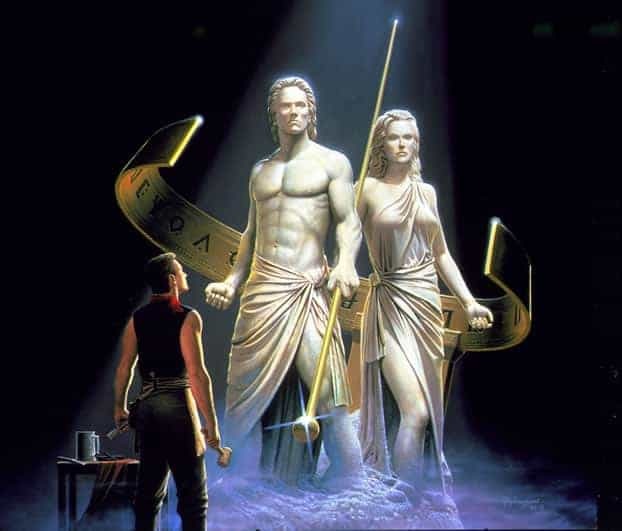 Goodkind is a proponent of Ayn Rand’s philosophical approach of Objectivism, and makes references to Rand’s ideas and novels in his works. Hi, i just re-upload the first audiobook. Have fun!